Ara River Cosmos Road (荒川コスモス街道) is the most popular Cosmos Spot in Kanto. On the riverside, there are over 10 million flowers which bloom in the middle of October. The beautiful pink flowers cover all over the field. 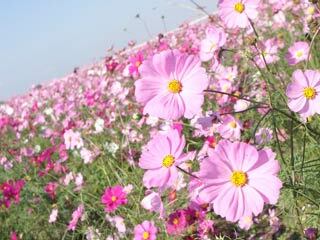 In the middle of October, there is Cosmos Festival.